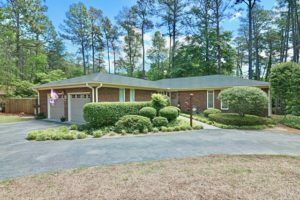 This beautiful home is located in Southern Pines. The backyard is truly like an oasis with pool, privacy,mature landscaping, fire pit and more. The home has a easy flowing floorplan,hardwood floors, some great updates, huge rooms and is meticulously kept. $312,000. Looking for a great night of entertainment? Come out to the Sunrise Theater for a Night of Bluegrass featuring Po’ Ramblin Boys on July 21st. Get your tickets early because it tends to sell out.